When you have an online store on PandaCommerce, there are several ways to create discounts for your promotions. 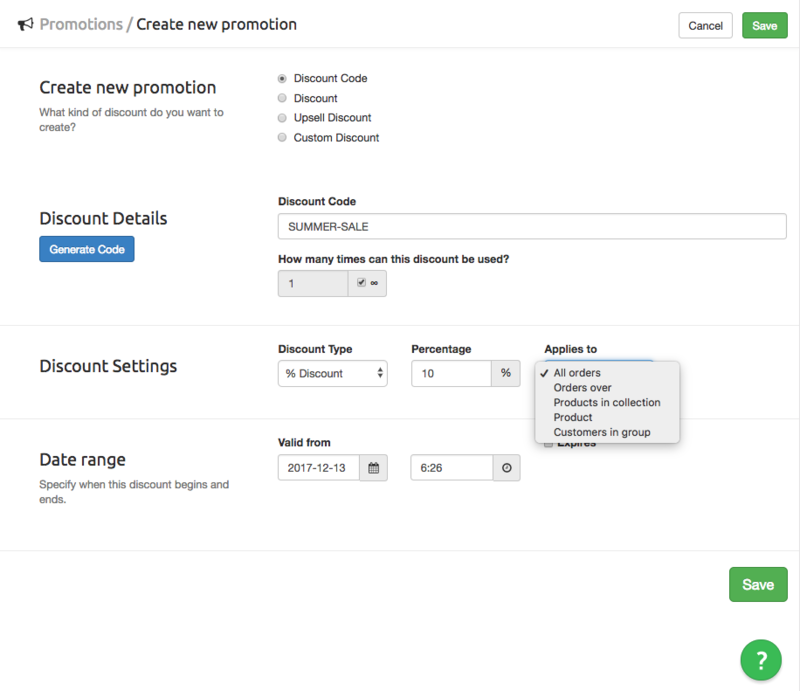 This a guide to how a discount code is set up. In the left-side menu go to the item [Promotions] and once there press the button (top, right corner) "Create new promotion". Choose the type of discount, in this example, we use the first one "Discount Code". Give a name for your discount; this is what your customers will use in the checkout. Choose how many times the discount is valid. In our example, it is set to infinite. If you uncheck the box next to the infinity symbol you can choose the number of times instead. 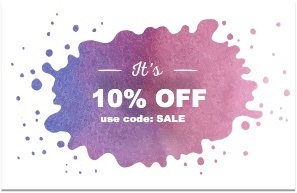 Next step is to select the type of discount; you can set a percentage, a fixed amount of the price, or free shipping. Choose what the discount should apply for; here you have a number of options. For example, you can choose to create a discount for a specific group of products or customers. There is also a possibility to generate the discount for orders over a particular sum. In this case we choose to give a site-wide discount by selecting the first option "All orders". Choose the dates when the code should be valid and hit save. Your Discount Code is now ready to be used. You can at any time go back to the [Promotions] page and view the settings for the code.